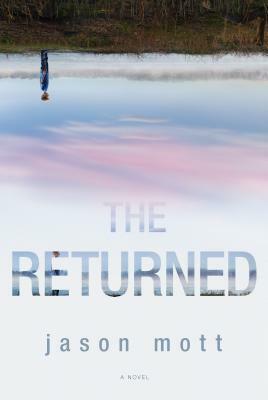 "The Returned transforms a brilliant premise into an extraordinary and beautifully realized novel. My spine is still shivering from the memory of this haunting story. Wow." -Douglas Preston, #1 bestselling author of The Monster of FlorenceThe sensational New York Times bestselling novel about an impossible miracle and a family given a second chance at life...Harold and Lucille Hargrave's eight-year-old son, Jacob, died tragically in 1966. In their old age they've settled comfortably into life without him.... Until one day Jacob mysteriously appears on their doorstep--flesh and blood, still eight years old.All over the world people's loved ones are returning from beyond. No one knows how or why, whether it's a miracle or a sign of the end. But as chaos erupts around the globe, the newly reunited family finds itself at the center of a community on the brink of collapse, forced to navigate a mysterious new reality.With spare, elegant prose and searing emotional depth, award-winning poet Jason Mott explores timeless questions of faith and morality, love and responsibility. A spellbinding and stunning debut, The Returned is an unforgettable story that marks the arrival of an important new voice in contemporary fiction. Jason Mott holds a BA in fiction and an MFA in poetry and is the author of two poetry collections. His writing has appeared in numerous literary journals, and he was nominated for the 2009 Pushcart Prize. Jason lives in North Carolina. "This book offers a beautifully written and emotionally astute lens at our world gone awry....Poet and debut author Mott has written a breathtaking novel that navigates emotional minefields with realism and grace." "Mott brings a singularly eloquent voice to this elegiac novel, which not only fearlessly tackles larger questions about mortality but also insightfully captures life's simpler moments....A beautiful meditation on what it means to be human." Questions arise as to whether the Returned are miracles from God, or harbingers of the Devil.What was your initial reaction? Did it change over the course of the novel? If possible, would you choose to call back a deceased loved one? Would you settle for their being somewhat altered, albeit “a copy” of what they were in life? In the beginning of the novel, Lucille says “I don’t know what they are. All I know is they’re not like you and me. … They’re Devils. They’ve just come here to kill us, or tempt us. These are the end days. …”However, after the return of Jacob, she embraces him fully as her son.Did this surprise you? Do you think that she showed a natural maternal reaction? Can you imagine a mother responding differently? How does Agent Bellamy’s reaction to his Returned mother differ from that of Lucille and Howard? Why does he hide her true identity from them? In a real life instance of the Returned, do you imagine a government intervention like the one in Arcadia? Why or why not? Fred Green is fiercely opposed to the presence of the Returned. Why? How much of his reaction has to do with the death of his wife?How do you think he would have reacted had she returned? Jason Mott writes a very moving Author’s Note at the end of the novel.Did his explanation of his feelings following his mother’s death and its influence on his writing affect the way you perceived the story?In retrospect, in which parts of the book do Mott’s personal reckonings seem to emerge most strongly? A passage at the end of the novel reads: “All the while, Lucille had never believed Jacob to be her son. But, all the while, Harold knew that he was. Maybe that’s the way it was for everyone. Some folks locked the doors of their hearts when they lost someone. Others kept the doors and windows open, letting memory and love pass through freely. And maybe that was the way it was supposed to be, Harold thought.”Discuss the idea expressed in this statement. Is The Returned a metaphor for the different ways we grieve?